Bad news, no hot air balloon ride today. 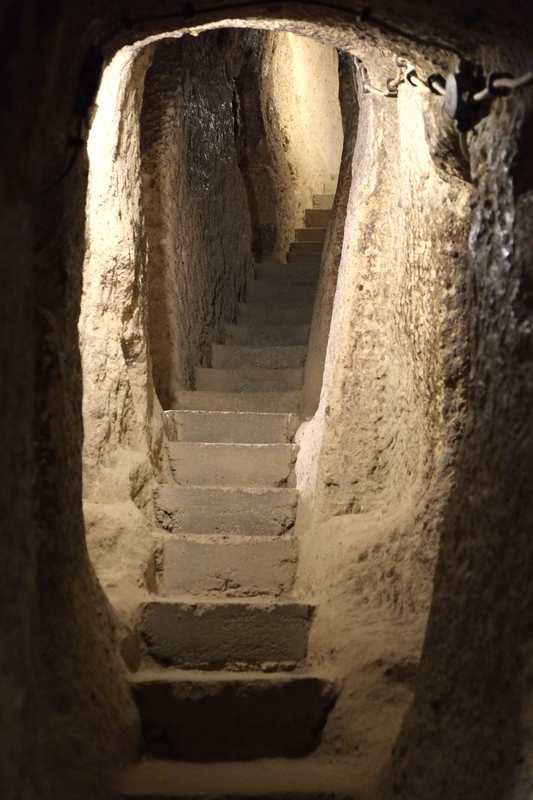 But there’s plenty to see in our schedule today in Capadocia, first we visited Kaymakli Underground City, a cave Christian used in the past to hide from the Romans. 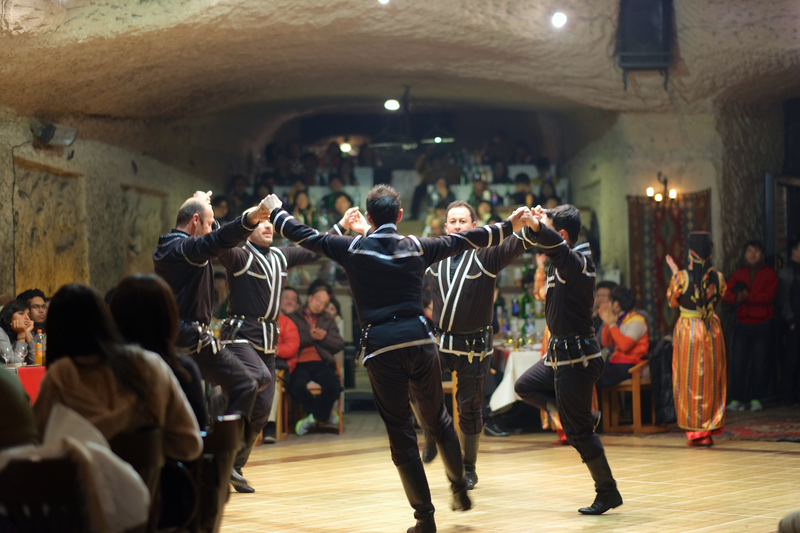 There are many cities in Capadocia, connected with each other by a tunnel. The cave is quite large and well constructed, in the making of the cave people could dig the wall using a spoon or any tools because the wall easily corroded and shaped. 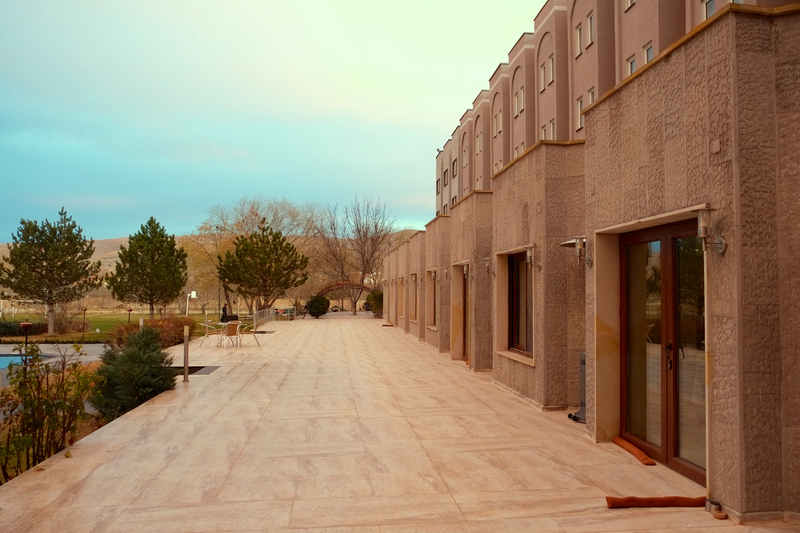 We are going about 20 meters under the ground and see various room, there are various size of living room, kitchen, winery, but there were no bathroom. My tour leader said they were burried deeper. 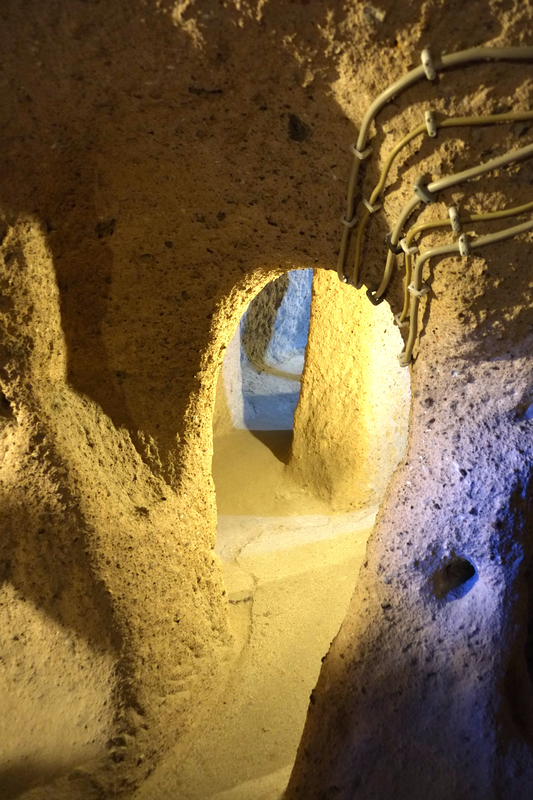 The path inside the cave is very small and limited to one person only, we have to crawl to get inside. The tunnel looks much like Cu Chi Tunnel in Vietnam. 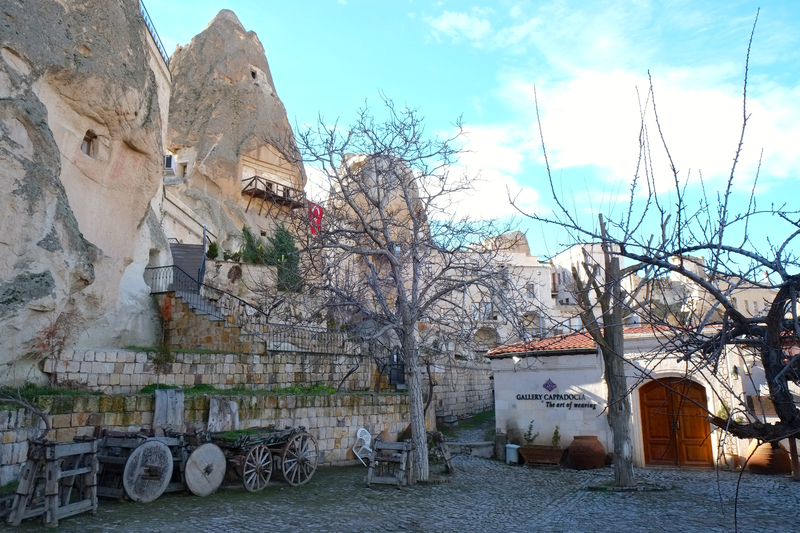 We have lunch in Capadocia, the restaurant is located on a hill facing spectacular view. 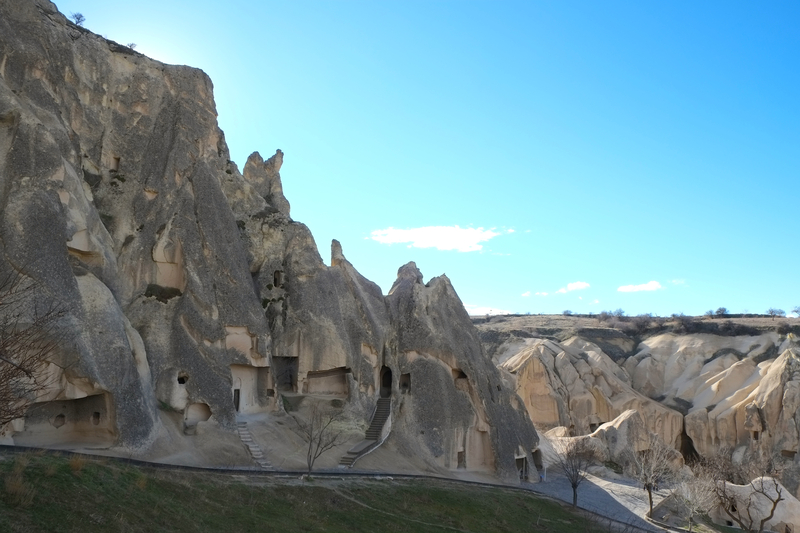 Cappadocia terrain was shaped by vulcanic eruption long time ago, creating a stone with several unique shapes. 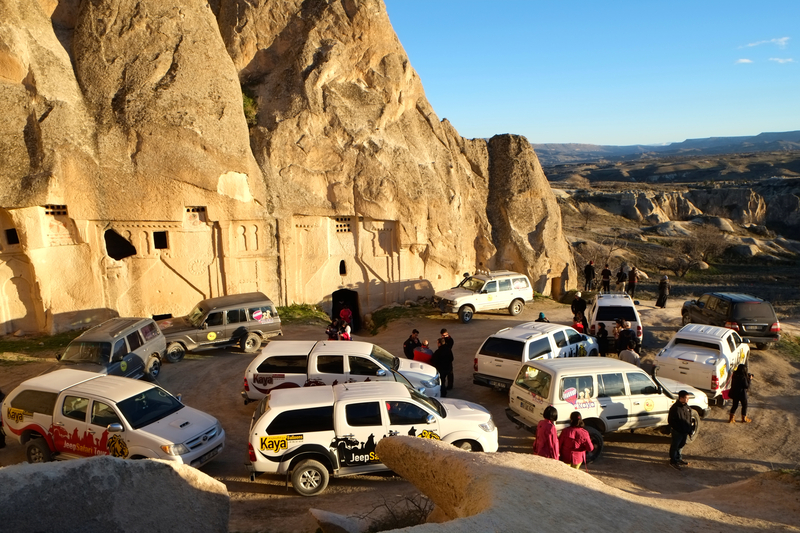 The scenery in Cappadocia is wonderful, perhaps the best in Turkey. 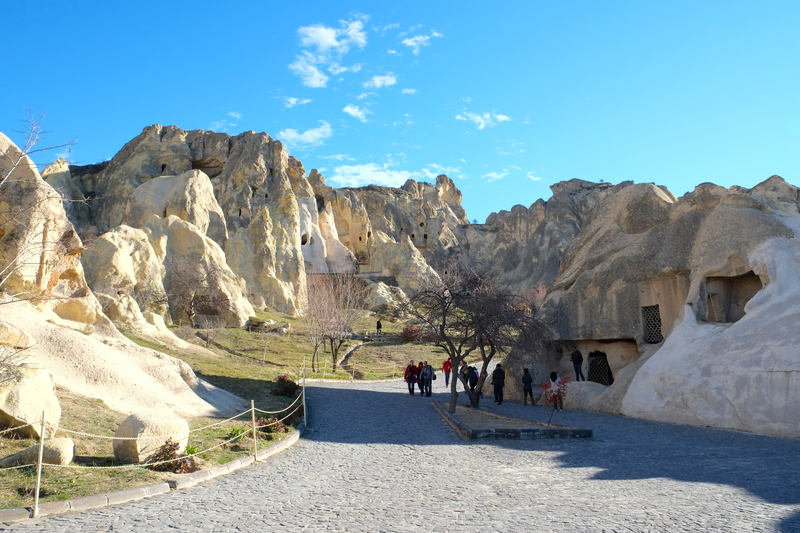 We went to Goreme open air museum also, few churchs on a cave and museum. 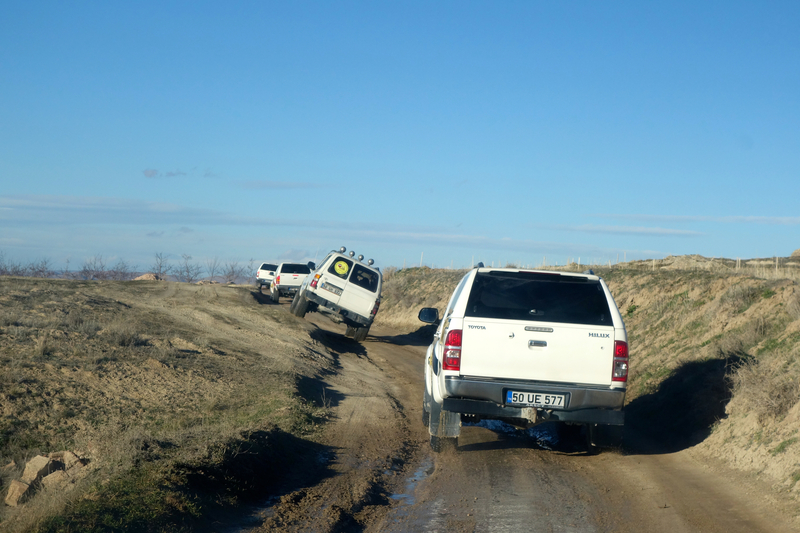 The most interesting attraction today was jeep riding through Cappadocia rocky terrain. 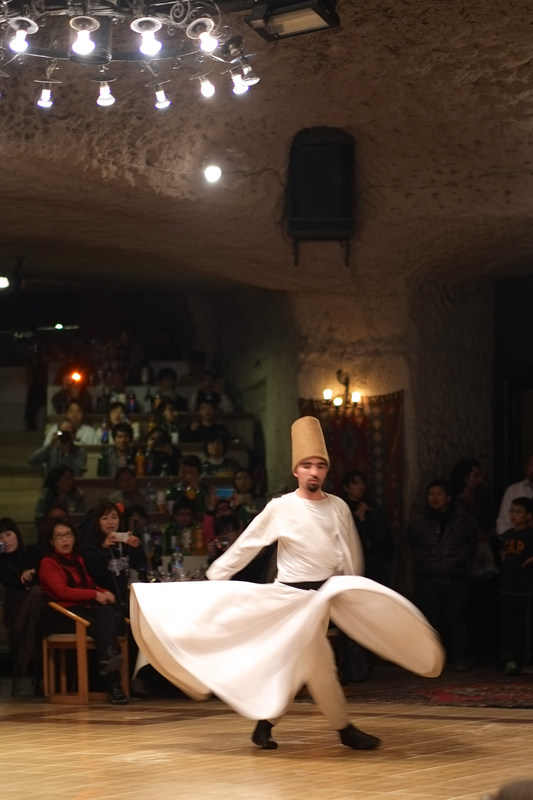 It was exhilarating experience and a must try for everyone visiting Turkey. We saw sunset at the last stop in top of the hill facing the city, the sky was majestic, the way it illuminated the whole city is unforgettable. 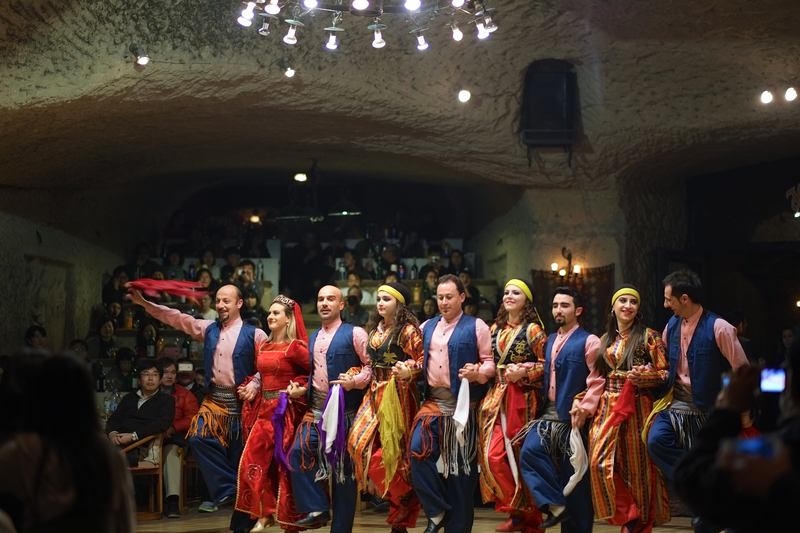 This entry was posted in Travel, Turkey-Abu Dhabi and tagged belly dance, cappadocia, carpet gallery, goreme, jeep ride, kaymakli, museum, safari, traditional, underground city. Bookmark the permalink. 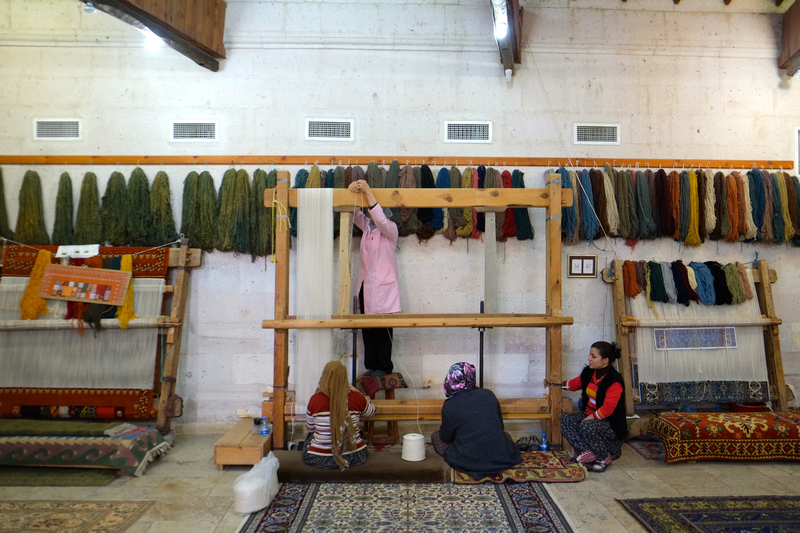 Be sure to visit it in February to August, my tour leader said it is the best season to visit Turkey, the weather is nicer than when I visited it last Winter. 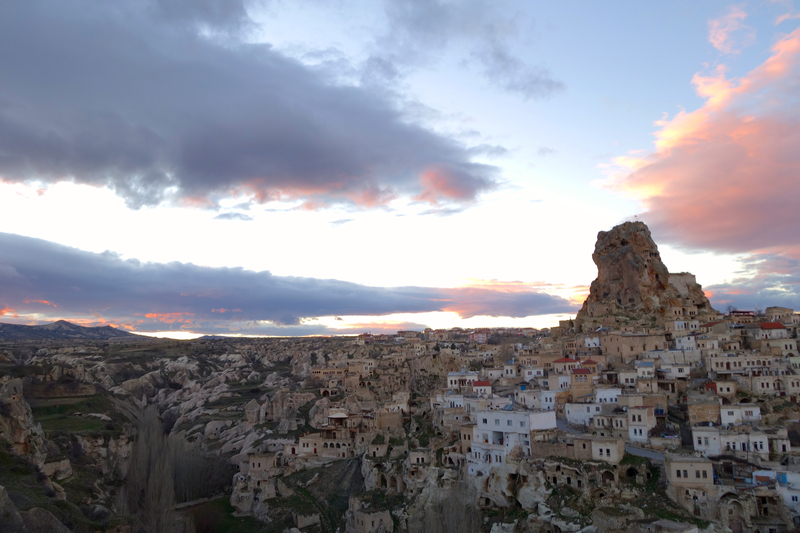 Due to the wind and weather I couldn’t have a balloon ride, it’s best to stay in Cappadocia for 4 days or so. Cheers! Hmmmm….Thanks for this piece of info. I will definitely take this account while planning a trip, whenever it happens. Cheers…!! !